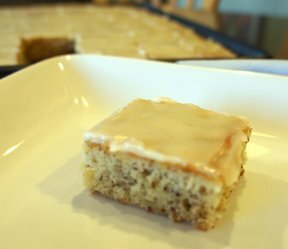 A light banana bar with a sweet glaze on top. 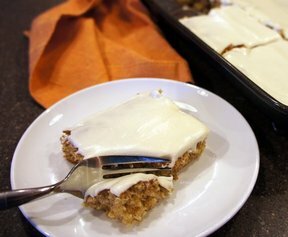 The bars are moist from the sour cream and the banana doesn't overpower. Perfect to use up those over ripe bananas. Mix sugar, sour cream, butter and eggs on low for 1 minute. Beat bananas and vanilla into sugar mix for 30 seconds. Beat remaining ingredients into banana mix for 1 minute. Spread into a greased 15 1/2x10 1/2 inch pan. Bake for 20-22 minutes at 375 degrees F.
For glaze, mix ingredients. Beat until smooth. 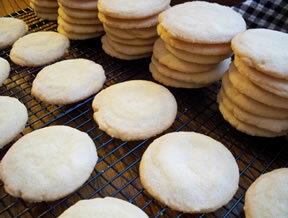 Spread onto bars when cooled. 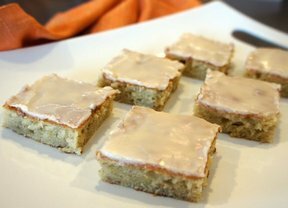 "Delicious banana bars. I prefer this icing over the cream cheese frosting I am used to, but then, I'm not a huge frosting fan."